Movies, video games, that hit TV show that you’ve probably watched before...zombies are all the rage now. It’s all in the name of fantasy and horror, but what if a real life zombie apocalypse suddenly descended on the world? What would you do? How would you survive? What are you going to drive to make it through the hordes of undead? Don’t worry, that’s where we come in! Here are the 5 best cars that will help you make it through the zombie apocalypse. If you are desperate to survive, this is the only car you’ll need. We say “car” but it looks and feels more like a tank. 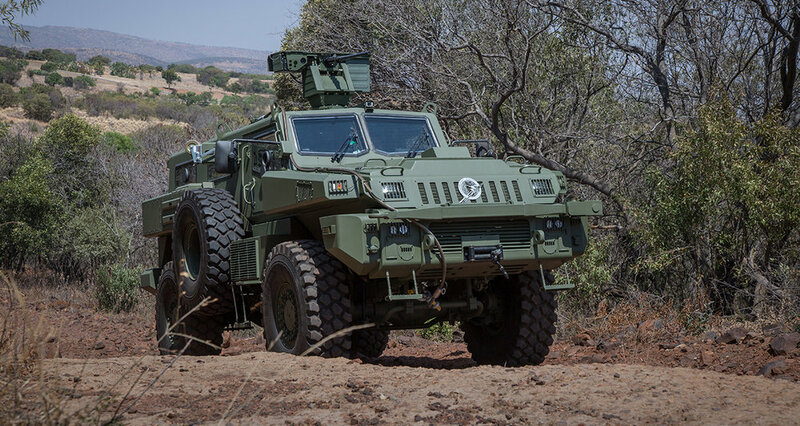 The Paramount Marauder has been shown to be able to take a C4 charge to its undercarriage, built for all terrain, and even has the option for you to fit a gun turret, so you don’t even have to run away. Plus, you can have your very own crew, because there’s tons of space in this thing, fitting up to 10 people! This car should be top on your list of vehicles to get as soon as an outbreak happens. If you’re looking for a cool car that can keep you safe, look no further than the Conquest Knight. 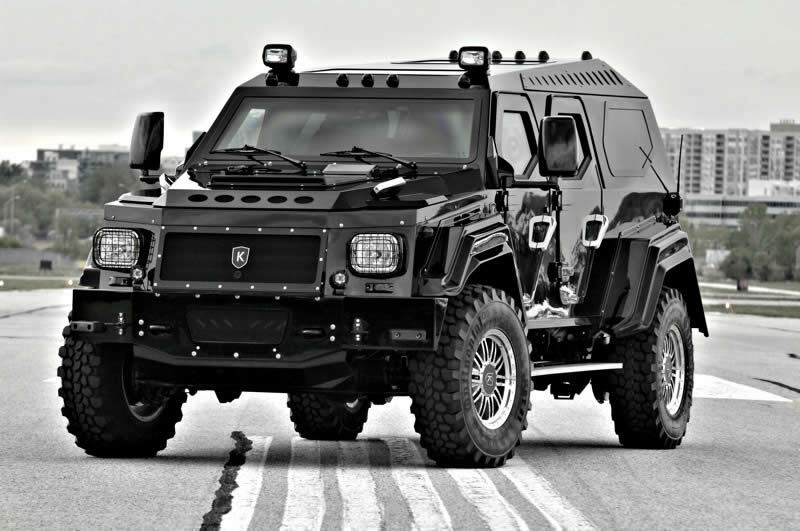 With an amazing name, armored car builder Conquest Vehicles made the Knight XV, likely the best ride to keep you safe in a dangerous zombie apocalypse. The car boasts of bulletproof glass, armored plating, run-flat tires, and reinforced door hinges, plus an incredibly luxurious interior so you’ll be cruising around in comfort AND safety! When the world is ending, you’ll probably want to hop into a car with the most powerful man in the world. Yes, the car that belongs to the President of the United States, The Cadillac One, aptly named The Beast, is exactly what you need. This luxury limousine has bomb-proof steel plating, bulletproof glass, Kevlar-reinforced tyres...to make sure nothing can get through. To top it off, it has night-vision cameras, and can also suppress fire and withstand chemical attacks. Whew! Okay. Before you laugh, let us explain why. The SMART for Two Coupe may not be in the heavyweight division like the above selections, but for a car that is known to be able to weave in and out of traffic, it’s bound to be useful in escaping zombies and dodging all the junk in a wasteland. Plus, this little marvel is super fuel efficient, running on only 3.3L per 100km. In an apocalypse that is low on resources, this is a godsend. Water and fuel are scarce now that society has broken down, and what better way to survive and have a powerful bargaining tool than owning a tank full of the good stuff. The Oshkosh Wheeled Tanker can carry 20,000 litres of fuel or 18,000 litres of water, is armoured to protect you, and the off-road tyres mean you can take it anywhere. It also shares common parts with other vehicles, so it should be fairly easy to repair and keep on the road too. So there you have it, a selection of the best cars that will get you by a zombie apocalypse. Now who’s ready for the apocalypse? Which ones of these cars will you get? Leave a comment below! SpaceX Successfully Launched A Car Into Space. Here’s Why. After Robot Policemen, You Won’t Believe What’s Coming Up Next!